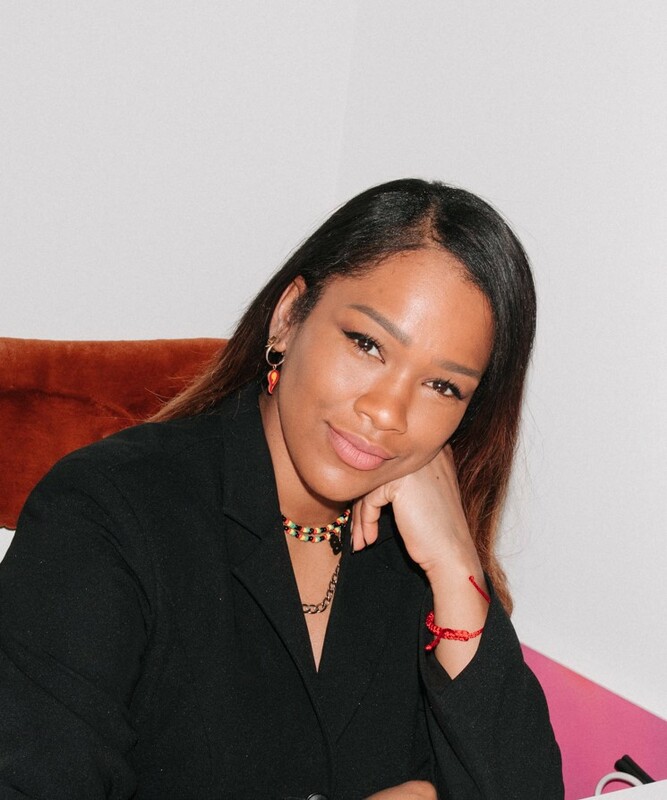 We’re so excited to catch up with serial entrepreneur Sharmadean Reid this week — a former fashion stylist, Sharmadean is a serial entrepreneur who’s been shaking up the beauty industry for the past decade. Having started WAH as a hip hop magazine for girls in 2006 whilst still at university, Sharmadean went on to found the hugely successful WAH Nails as a side project in 2009. 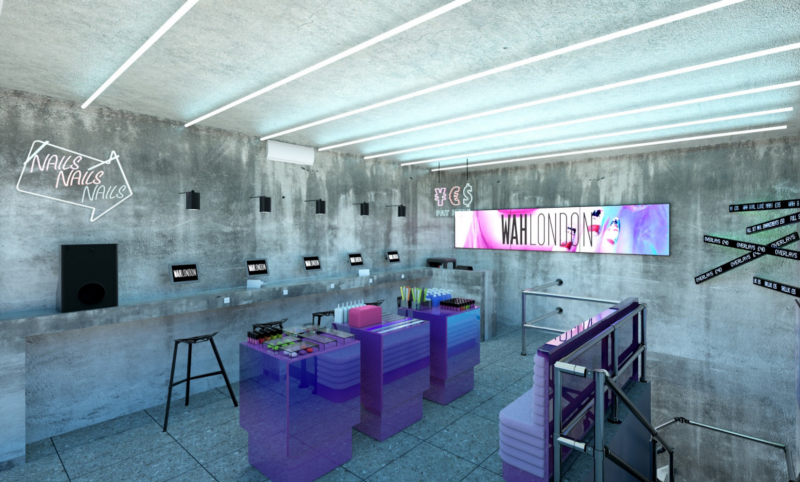 WAH revolutionised the beauty landscape with its “millennial voice, feminist attitude and innovative salon space” and remains top of its game today. Sharmadean went on to write two books, delivered global pop up nail salons for hundreds of top-name brands, created her own product line and was awarded an MBE in 2015 for services to Beauty. Alongside all of this, Sharmadean has always documented her journey on social media and organised business events for young female entrepreneurs which led to her co-founding futuregirlcorp.com. Newnham: Can you tell us a bit about your background? What were you like growing up/how would your friends/family have described you? Reid: I’m originally from Wolverhampton which is an amazing city but I always knew I wanted to live in London. I went to Central St Martins and studied Fashion Communication and when I graduated, I worked as a stylist for a few years. I then set up WAH Nails in 2009 and Beautystack in 2017. When I was a kid, I always read obsessively, I read magazines cover to cover, first teen girl magazines, then Vogue and Elle and anything related to pop culture. I always loved school and I loved learning. I think my family would describe me as bright, my teachers as over enthusiastic and my schoolmates as bossy. All characteristics that have served me well. Newnham: And when did your entrepreneurial spirit first reveal itself? Reid: I always knew I wanted to move to London, and I found a degree when I was 12 at Central St Martins. I knew I wanted that degree, so I got the prospectus every year from the age of 12 to 18. I called them up every year and asked if the course was still available. I graduated with a First, but I worked in fashion before I even started the course because I was just so hungry. When I was really young I used to rake leaves from gardens with my little brother for money. We also would pick up peacock feathers from a nearby farm and sell them! Newnham: How did WAH nails come about — how did you turn a concept into reality? Reid: WAH began as a fanzine about girls in hip hop that I started in order to practice my skills on InDesign and Photoshop. If I ever saw a girl who I thought was cool I would give her a copy of the magazine. I wasn’t trying to get as many fans as possible, rather I was targeting girls that would be into the same things that I was into. Slowly, people started knowing me as the WAH girl. I had graduated from Central St Martins, was still doing the fanzine, was working at Arena Homme Plus with amazing photographers and living my dream life. I would always get my nails done every Friday and I thought nails were going to be really cool, but no one was doing it as cool as it could be. So, I thought I should do it. I thought I would be the only one who could do it right because of all of my different networks. I researched the hell out of the salon business and knew it wouldn’t be scalable, but that it wouldn’t lose money. We found a spot two minutes from my house on Kingsland Road and set up shop. I had no idea what I was doing, I thought I just want to open a nail salon for the girl crew I’d collected. It wasn’t about running a business, it was about having a physical space to connect with my online friends in real life. Newnham: Tech has always played a big part in your career from starting your online magazine, using social media, AR in-store and now you’ve launched Beautystack — why is it so key to what you do? How does it help you stay ahead of the curve? Reid: Whether we like it or not, technology is the future. I don’t think businesses now have a choice over whether or not they want to be digital. I’ve always been an early adopter of new technologies and it’s always been a facilitator of the cool things I wanted to do. I put our success down to the fact that we were digitally savvy from day one, whether that was being a blogger back in 2007, or one of the first beauty accounts on Instagram, or creating a VR nail art experience for the launch of the WAH SOHO store. Now, I’m more interested in using technology as a tool to power our business. That’s what I’m doing with Beautystack. Newnham: Tell us more about Beautystack — what led to you starting it and what do you hope to achieve with it? Reid: I had the idea for a long time. It arose from a few different issues I saw within the beauty service industry. The first is that the salon software systems currently available to beauty professionals don’t meet their needs, we’d have so many issues at WAH trying to do the simplest of tasks, because the software just wasn’t intuitive. Plus, it was ugly! I didn’t feel comfortable sending my customer to a bookings page that I couldn’t customise as a business owner. Beauty is so visual — and currently, beauty booking systems don’t cater to that. You book from a list of options, like ‘hair cut’ or ‘nail art’, but no one has ever just booked beauty like that. We used to get clients coming in to WAH every day with screenshots saved to their phone of the look they wanted, and sometimes, we’d be left in a dilemma, having to switch the nail artist or change the appointment, because we weren’t prepared in advance with the images. Beautystack solves all of these problems. Also — I got older and started a family I started to think about the next chapter in my life. How could I take all the skills I’d learned from my first business and apply it to the next big thing? I care deeply about helping women gain financial independence and I had gained so much knowledge about the beauty industry. I spend time thinking about macro social trends and how Beautystack can play a part. The end goal, is to provide economic empowerment for beauty professionals, the majority of whom happen to be female. Beautystack will allow them to make money from their skillset and their social posts. We want to give power to the professionals, as the next generation of beauty influencers. Newnham: Sounds brilliant. Can you tell us about some highs and lows of your entrepreneurial journey? Reid: One of my biggest achievements so far has been opening WAH SOHO and being a shopkeeper in an area that I spent my student years in and loved so much. To be a shopkeeper in that area is what makes me so proud. I don’t consider myself as having lows as much, because If I hadn’t made mistakes and been through hard times, I wouldn’t be as resilient now. There was a time when I moved back to Wolverhampton, to figure out what my plan was going to be with WAH and where I was heading next, but that turned out to be a really formative time for me. It kickstarted the launch of WAH SOHO and as a result, Beautystack. My high moment — and probably my only tears of joy in my career — was when I went to a graduation ceremony for the charity Art Against Knives. We have supported them informally from the beginning of WAH and they use all our books and tools as reference. It really hammered home how something I created in my bedroom is changing the lives of disadvantaged girls and I basically started blubbering at the party. Newnham: As well as running your businesses, you write a weekly column in the Guardian, run FutureGirlCorp and recently partnered with Natwest — all of which help encourage and empower more women in business — what fuels this passion and what practical advice would you give young women wanting to set up their own business? Reid: We definitely are living in an age of female solidarity, women and girls just need a bit of encouragement and attention right now. They also need someone to look up to, I barely had any female entrepreneurs to look up to growing up. With FutureGirlCorp I try to provide role models for girls who are only a couple of steps ahead of them, and advice that is easy to follow. It makes it more relatable and attainable. I learn loads from my peer group at the same time! What I want to do long term is think about how I can utilise my knowledge and network of amazing women, they have such incredible knowledge I feel like everyone should be able to have access to them. I don’t really know why I care so much… what fuels me. Maybe because I’ve seen first-hand, growing up as the eldest child of four kids to a single parent, how financial oppression works. Money and power — those are the two main ingredients to equality, and change happens incrementally. The suffragettes died for us 100 years ago and the gender pay gap is another 100 years apart. In black America, there are people alive today who have experienced segregation. The divides are still there so if I don’t do my part (when I have the ability to)… well frankly, it’s weird to me. 1. How are you going to make money? It sounds obvious but many people don’t consider how they’re going to make a profit. 2. Know exactly who your customers are — create user profiles that are as detailed as possible. Don’t make any decision without considering how your customers would think and react. 3. Plan a roadmap for the future — start with your fiveyear goal and work backwards. 4. Maximise productivity — know when you work best and what causes distractions. Improving productivity is one of the key issues facing entrepreneurs today, which is why I’m partnering with NatWest on its Productivity Blueprint, to give small businesses the advice to become the best they can be. 5. Nurture your team — this also helps to maximise productivity. I hold regular 1:1s with my staff members to ensure everyone is feeling fulfilled and working towards the same goal. Newnham: Great advice. One thing we have noticed from your social media is what a prolific reader you are… so what’s your favourite and why? Reid: Every year I re-read an excerpt from A Society by Virgina Woolf. It’s about a collective of women who set about to investigate the male lifestyle once they realise their oppression in society at large. They set out to read every book in London, and in doing so, begin to lift the patriarchal wool that was over their eyes. All the greatness and intellect they imagined these men possessing falls away, as they realise most of the books written by men are utter rubbish. It’s almost 100 years old, but it still holds so much relevance today. I want more women to form their own societies, collectives, crews, etc, and start realising they too can dismantle the narrative that’s put before them. I regularly save quotes from books using an app called Elefant. I write the quotes in that I like and then it randomly texts me back throughout the day with them as reminder. Newnham: And, finally, what advice would you give a younger Sharmadean, just starting out in her career? Sharmadean Reid has partnered with NatWest on the Productivity Blueprint, providing practical tips and advice to help small businesses improve productivity and performance. Download the Blueprint at natwestbusinesshub.com.